Important Note: These RF Bracelets will work without the controller in the same room. RF Bracelets will work within 1000 feet from controller. Best of all these LED bracelets work outside of the venue, too! 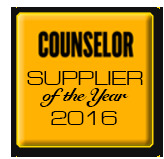 Light up any concert, stadium, nightclub or party in your choice of colors. 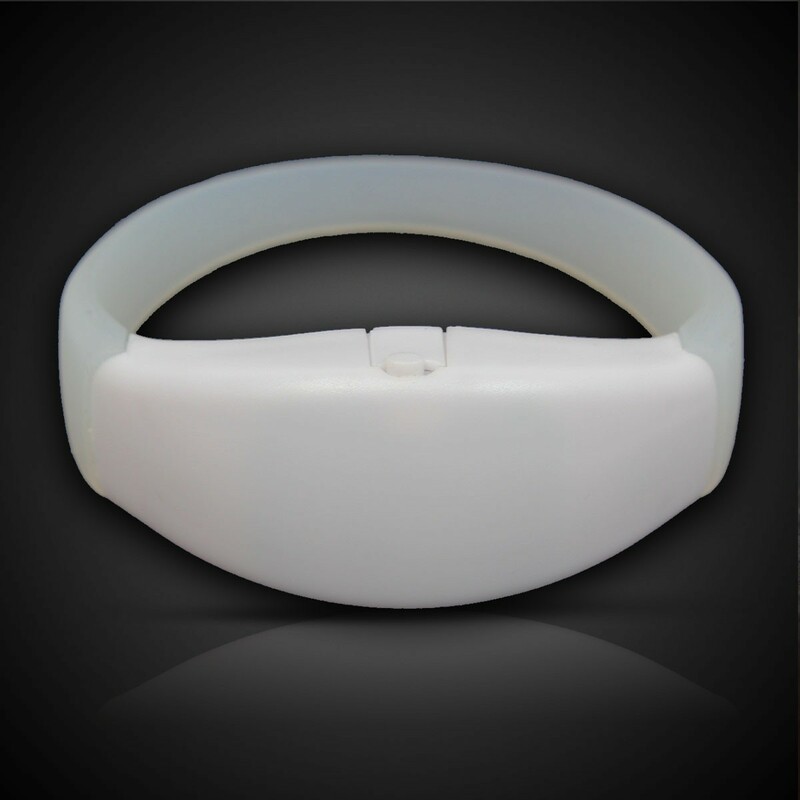 RF Controlled Bracelets are an amazing new technology that allows you to control LED flashing bracelets with the push of a button! 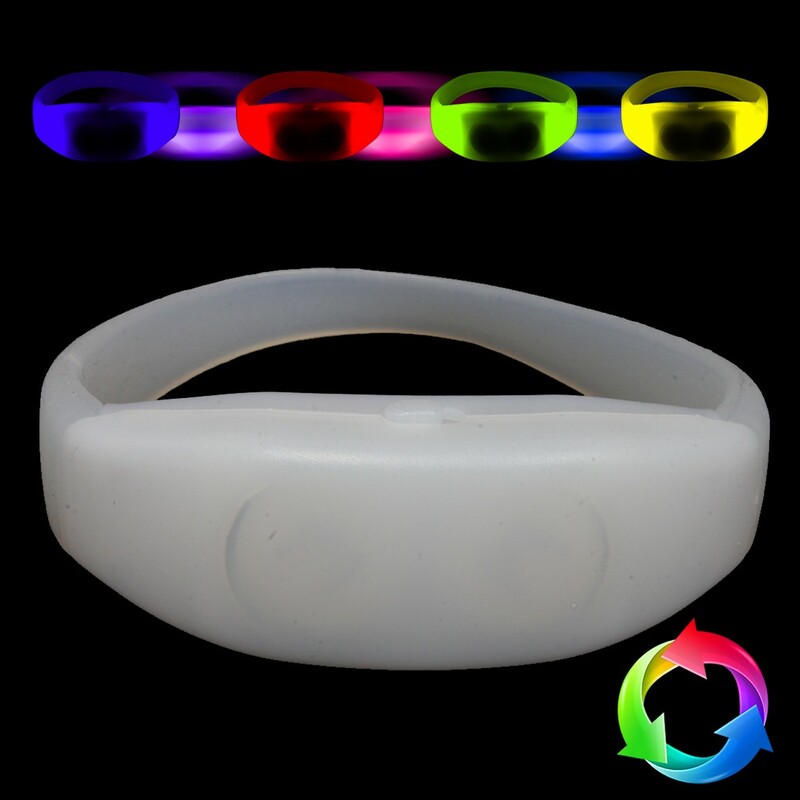 These white silicone bracelets feature red, blue and green LED's. 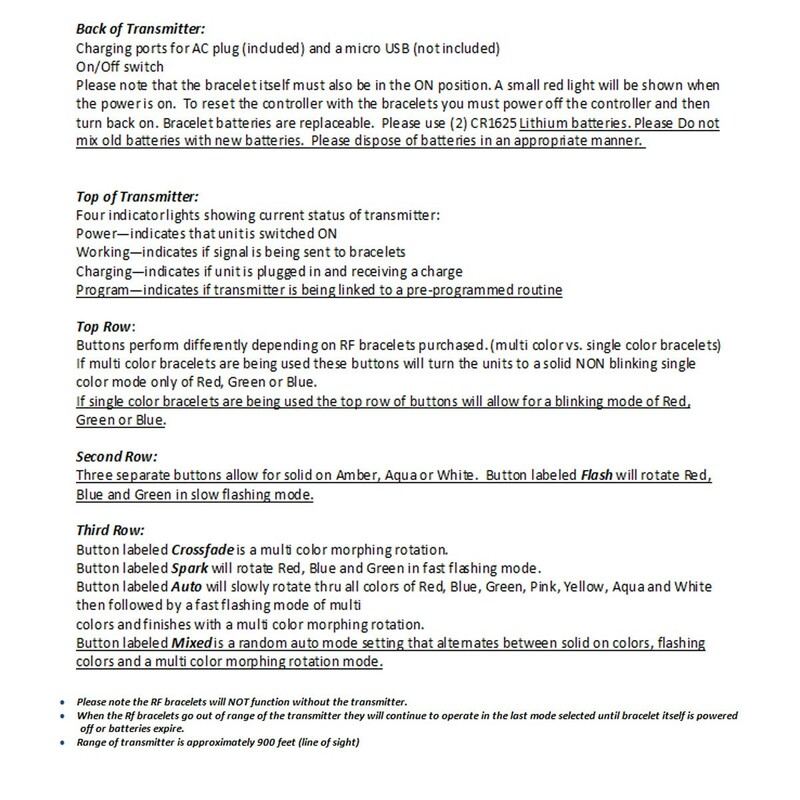 With the RF controller (sold separately) you can select single color lights or a variety of fun light mode settings. 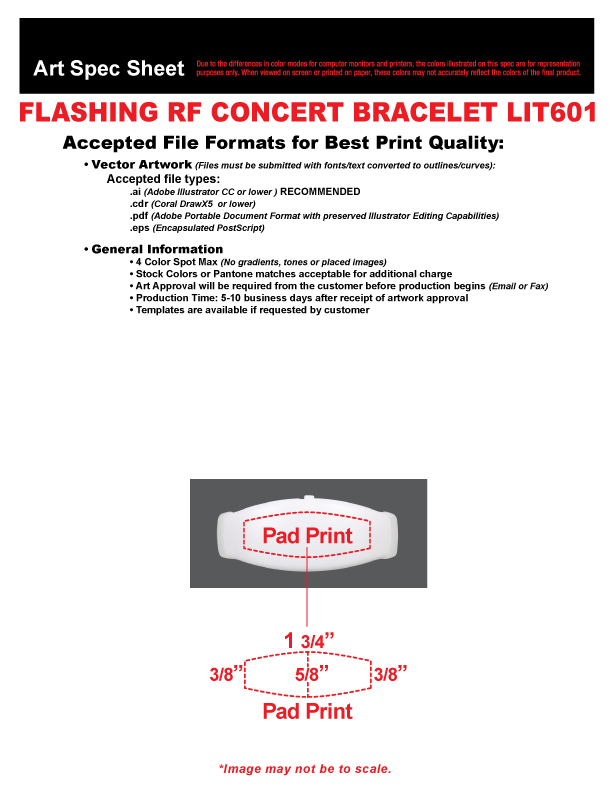 Our Flashing RF Concert Bracelets are sold per the piece (one bracelet) and come with batteries included and installed. Perfect for promotional events at night! 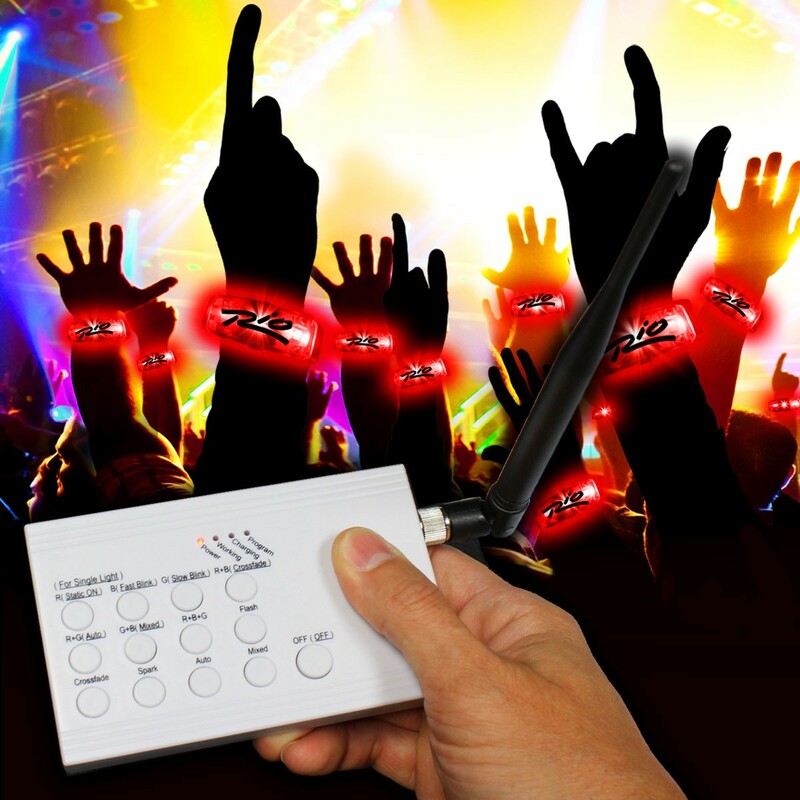 Don't forget to purchase the Flashing RF Concert Bracelet Controller. This plastic Radio Frequency Controller is behind the magic you see at Award Ceremonies and Music Concerts when audience members are wearing our Flashing RF Bracelets. (Bracelets sold separately) RF Controller comes with an AC plug for charging but can also be charged with a micro USB (not included). Sorry, this item cannot be imprinted.